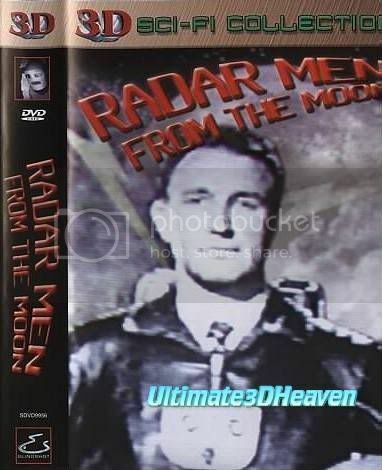 One of the last great science fiction serials, Radar Men from the Moon, is back and even better in 3D. Watch as Commando Cody dons his secret flying suit and grabs his trusted aids. Together they shuttle between the earth and the moon, as Cody scuttles the evil Retik, Ruler of the Moon's, plans to fashion a deadly atomic weapon out of a substance called Lunarium. Will Commando Cody risk life and limb to thwart the planned invasion and save the day, or will Retik and his moon men conquer Earth ? Join us in this exciting 3D adventure! Contains 12 high-flying chapters, digitally Remastered on 3 DVD’s!